I have been wanting to see the movie “Love, Simon,” since I finished the book. I adored the book and you can read my review about it here. This review is going to be more about the difference I noticed between the movie and the book and what I thought about them. I am not going to get into the cultural significance of the movie much, mostly because as a straight person I don’t think I am the right person to talk about that. Though I will state that my brother, who is gay, adored the movie and stated that he wished it had been around when he was younger to help him understand his sexuality better. I thought this was a fantastic adaptation of the book. I noticed minor changes but I none that took away from the story. The main story, Simon building a connection with Blue and his coming out journey remained the same. We still saw the struggles he went through, the emotional journey was very much the same which was great. I don’t think anything significant was left out or changed. It still ended up being a heartfelt story that made me just as happy at the end as the book the did. One of the main difference I noticed was the way I felt about Martin in the movie. In the book I wrote him off, honestly really hated him. I couldn’t find any relatable or redeeming qualities about him. I despised him for blackmailing Simon and hated how he outed Simon. Even his apology in the book fell flat for me. The movie version of Martin I found a little bit more understandable. The fact that we spent more time with him and saw him as a geeky, awkward guy who was just trying to get a girl to like him made him a bit more human for me. The whole homecoming scene really made me sympathize with him. I felt bad for him, I saw him as someone with the need to fit in and feeling like he wasn’t enough. Whereas in the book I felt like we didn’t get any of that. That is not to say that what he did to Simon still didn’t seriously piss me off. I just didn’t hate him as much. I think there was a significant line in the movie that didn’t stand out as much for some reason in the book. Martin states that he didn’t think it was a big deal (him outing Simon) and that people still did stuff (be homophobic) like that after Simon is humiliated. Again this may have been just because of the visual element but I think this made me realize how much of a teenager in a bubble Martin is. There are plenty of people who don’t realize how homophobic and cruel the world can be. They see their circle and think everyone is similar to them. They don’t think that anyone could be hurtful because they don’t know anyone like that. Martin was hurting and humiliated and he took revenge without thinking. None of that in any way excuses his behavior but I felt like the movie made me understand his character better and despise him a little bit less. One of the other differences in the movie that I liked was how we went through a small list of people to find Blue. I liked how they hinted at someone and then had them writing the emails. It kept you guessing. It also made you feel a deeper connection to Simon. You felt his elation when he thought he had figured it out and then felt that harsh disappointment when something showed him how wrong he was. I thought that was done well and made the story move along well for the movie. Another thing I liked was his mom’s speech to him. I loved the way she talked about him holding his breath for years and finally being able to breathe and exhale out. I thought it summed up the whole idea really well and showed her support and her own struggle with trying to find out how to help him. I thought that was a great addition to the story. I did love the reveal at the end. I knew who Blue was and had read that it was the same as the book yet I still felt nervous watching that scene. I was anxious and felt my heart beating waiting for him to appear. I liked that it was a more public reveal as well. In the book no one else is around when his finds out who Blue is where as in the movie it is almost a whole school thing. We see the school and the people he feared telling he was gay be so supportive and excited for him. It was nice to feel that connection and joy. I am someone who will almost always love a book more than a movie but I thought this was a great adaptation. It changed some elements and cut others (such as my favorite scene at the end of the book when they go on their first “date.”) but in the end they kept the story true to its original purpose and gave us a sweet, romance with a gay main character and a happy ending. I highly recommend the movie if you enjoyed the book, you definitely will not be disappointed. I have never been a princess type girl. In Disney movies I tend to like the side characters more than the heroine. Most of the time I have difficult relating to the princess. I say most of the time because there is one princess that I adore and that is Belle. I am Belle and Belle is me. If I was going to see myself in any movie, “Beauty and the Beast” is the movie. Not only are we both bookworms but we also both fall outside the norms set by society. Belle wants to see more outside her village and knows there is more to life. I would love to see more of the world and get to know more about the cultures throughout the world. Also like Belle I work hard to see past appearances and get to know people for who they are, not who they appear to be. I understand that much of the time a tough exterior may be a mask or facade to cover up something else underneath. When I heard the next live action movie Disney was doing was going to be “Beauty and the Beast”, I was ecstatic. Not only is it one of my favorite stories but Emma Watson was going to be Belle and I could not see how this could go wrong. I was pleased to find out that this movie did everything I wanted it to do. It told a classic tale and also deepened the story and characters. It has to be one of my new favorite movies. One of the reasons I enjoy these live action remakes is that they are extending the story. They answer some unanswered questions and also give us a better idea of who the characters are. In this version both Belle and the Beast get a deeper story. We get an idea of what their pasts were like which makes their choices and personalities’ makes sense. Beast is not just some spoiled brat and Belle is not naive. They both had rough childhoods but they took two separate paths which led to very different places. I liked the juxtaposition of their childhood showing how things can change with one relationship. A few aspects of the story were changed from the original animation. One of the other major chances was that Belle’s father was not some overly crazy inventor. He was a softer man who just wanted to protect and make his daughter happy. I liked that he was more relatable. Also I loved that they changed the fact that the Beast could not read. He not only could read but he was well read. Belle was able to relate to him on this level. This gave them a way to bond and find a connection. I think this made their relationship a bit more solid and I liked seeing them talk about books and poems. I felt like this made it easier for them to fall for each other and easier for us an audience to see their connection. I wanted this version to push the story further and it did just that. The story became about not only their relationship but who they were and what led them to each other. I highly recommend this movie for anyone who enjoyed the animated version. You will get a whole new appreciation for this story. I was excited when I heard that there was going to be another Harry Potter movie. When we first learned about it all I knew was that it was going to be written by J.K. Rowling and it was going to center around Newt Scamander the author of the book Fantastic Beasts and Where to Find Them, (which is a school book of Harry’s). I had no idea what a movie about that book could actually be about. Over the months before the movie came out I still had no idea what the movie was going to be about. I knew that the creatures got out and seemed to be wreak havoc on New York. I wondered if that was going to be it. Was it just going to be a fun novelty movie but not much more to it? I wondered how it was going to tie into what we already know about the Harry Potter world, if it was going to tie in at all. To be honest I was a little worried that it was going to feel like a whole separate world and story. I adore the Harry Potter series, as I have stated before in a number of reviews. I knew this story took place years before Harry was even born, it was even before his parents. I wondered if it would feel like a Harry Potter story or just a fun fantasy adventure. But I had my trust in J.K. Rowling and she did not disappoint me. The movie is about Newt coming to New York in order to release one of his creatures back to the wild. While there his case, full of all the creatures he has collected over the years, gets mixed up with a No-Mag (or what Americans call non-magical people). Three of the creatures get out and start running around the city. Newt runs into a wannabe Aurora, Porpentina Goldstein (though everyone calls her Goldstein), and her sister Queenie. They join together with the No-Maj, Jacob Kowalski to find the missing creatures. Through their adventures they stumble upon more important mysteries and twists. I won’t reveal too much more about the plot because I don’t want to ruin the experience of the movie for anyone. It is so much fun to watch it, not knowing how things tie together and finding the easter eggs about the Harry Potter world we already know. The reason I loved the movie so much is because it sets up a story for the rest of the films. If the films continue down the road they are heading we are going to get a very interesting story. The main arc connects in with a pretty big part of the later part of the Harry Potter series. It sets up a history for a character we know slightly and seems to be furthering a story of a character we all love. There is so much potential in place. I cannot wait to see where this series goes. I am excited because it feels like I am right back in the world that I have loved for ages. We are getting history without it feeling forced. She is setting up a fun story, with an expanded world and tying it right back into what we already know. This movie is giving us a way to enter back into this world and explore the history of it even further. I also want a Niffler for Christmas. He was way too adorable! If you enjoy fantasy movies, with action, comedy and some fun animals you will enjoy this movie. You don’t have to be a Potterhead to appreciate this story. You don’t have to know much more than the very basics of Harry Potter appreciate the fun that is this movie. If you are a Harry Potter fanatic like me you will love this movie. You will pick up on little things that other people won’t know. And after seeing it once you will want to see it again to see how subtle things change when you know everything that is going on. You will enjoy the way it builds on the stories and characters we already know while creating a new world for us to explore. I am hoping to see the movie again sometime soon. After I see it again I may end up writing a theory piece about what I think is going to happen in the future movies. I already have an idea of where the story may go and if I am anywhere close to right, it will be a great series. Out of all the fairytales Sleeping Beauty has never been one of my favorites, neither the Disney version or the original (which is actually quiet disturbing). But Maleficent intrigued me because it was the Sleeping Beauty story from Maleficent’s point of view. One of my favorite types of stories is a story told from the supposed villains view point. Whenever we read a story we always have to have an antagonist and rarely do we get a chance to understand them and why they are making the decisions they make. Normally we get a superficial or surface layer story. A tale to me is never complete until we can see or understand all sides of the story. The heroes point of view can be vastly different from the villains. Maleficent started life as a friendly and curious young fairy. From a young age she was the one everyone went to when there was a problem. One day a young boy, Stefan, sneaks into the Moors and tries to steal a jewel from them. Aura confronts him but not with anger and harsh words, but more with curiosity. They talk and he quickly finds that he has a kindred spirit in her. They become fast friends which evolves into a romantic relationship. Stefan has high ambitions though. He wants to become king and rule over the land. In the end his ambition becomes more important to him and he betrays Maleficent. He drugs her and cuts off her wings, leaving her helpless and alone. The betrayal is a sword to Maleficent’s hear. It destroys her and breaks her down. She no longer is curious or friendly, she becomes dark and angry. She cuts off her home from the humans with a thorn wall and crowns herself ruler of the Moors. No longer is she looked at with respect and a smile; the other creatures cower at her presence and stay away in order not to annoy her. She goes from a naive and idealistic young woman to a woman destroyed by fake love. Her destruction creates the villain we know from the stories. Just as in the original story Maleficent curses Aurora to fall into a deep death like sleep on her sixteenth birthday after she pricks her finger on a spinning wheel. At this point we see her as a woman who cares about nothing and no one but hurting the one who hurt her. Stefan puts pixies in charge of watching over Aurora until her sixteenth birthday and she is safe. Maleficent also watches from afar, to ensure that her curse will go into effect. It doesn’t take long though for the good in Maleficent to make itself seen again. Her predominate traits are anger and evil, those are the traits that were brought out because she was in pain and didn’t know how to deal with that pain. She forms a connection to Aurora, one that is ultimately both of their saving graces. Aurora is awoken by a kiss but it is not Philip’s kiss, but Maleficent’s kiss. Yet again we see that these new movies and shows are showing us that true love does not always have to be from a romantic relationship. Yes, that is one form of true love but there is also true love between siblings, best friends as well as parents and children. Frozen showed us how strong a sister connection can be and now Maleficent shows us that a parenteral love is just as strong as any romantic relationship. This was one of my favorite aspects of this movie, a different take on a theme we have seen often in these types of movies. It is good to show an audience that true love is vast and can encompass so much. At the very end of the movie the narrator, an older Aurora, tells us that her home and the Moors were saved not be a villain or a hero but by someone who was both hero and villain. I love these types of stories because they show us that those we consider villains or evil are not fully that way. They have this good and caring side to them, they are complex, sometimes more so than our heroes. Villains deserve to have their stories told just as much as any hero. We all have good and bad sides to us. We all have moments when we lash out and don’t think about our actions. We act out of emotion that at times seems to dominate our vision. When we become hurt or angry, we see only red and we want a way to make that pain go away. So we do things like get revenge or hurt someone close to the one who hurt us. At the time that seems perfect reasonable because they did the same to us. But as Maleficent did we see that our choices have longer consequences then just that one moment. Maleficent quickly regrets her curse because she comes to care so deeply for Aurora; she tries to take back the curse but can’t. She is not just a villain, she is a woman who was hurt by the one persons she gave her whole-self too. She can’t see or think past that pain. This movie allowed us to see that all stories have many angles. We think we know what happened but until we hear what everyone has to say and see where they come from we can never truly understand what took place. In the end Maleficent is able to return herself and her home back to its former glory. She rights her wrongs and Aurora unites the human land with the magic land. I highly enjoyed this movie and have put it on a list of my favorites. 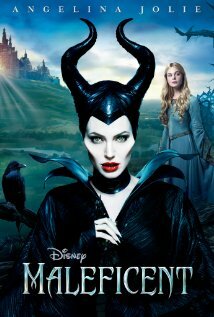 It beautifully done, Angelina Jolie portrays Maleficent so well and the story is paced and told very well. I highly recommend watching this movie and seeing a whole new side to a story we thought we knew so well. As I stated in my review of the book World War Z I was very curious how they were going to make the movie. How do you translate an oral history of an imaginative war into a film? In my head I had the idea of a sort of documentary that followed the man who did the interviews. These pieces would be intercut with flashbacks of what the people are talking about, memories of the incidents. Though it only took half a minute of the previews for me to realize that the documentary idea was not where they were going to go with this movie. I could tell right away that they were going to go into the action adventure genre. I was disappointed at first. The book and the movie have very little in common. The only real similarities are that the movie and the book are about handling a zombie apocalypse The UN employee in the book is trying to determine exactly what happened to cause this disaster and how it was and is still being dealt with. Where as in the movie he is in a race against time to find a cure to end the spread of the disease. The movie doesn’t do any justice in translating the most interesting part of the book. I loved the book because of how unique and different it was, it was a first hand account of a war. A war that we could relate back to any war in our world today. It was relatable to everyone in some manner or another. It is an action adventure film, about running around trying to get to the cure that will hopefully save everyone. There are no deep emotions or an array of characters that can show just about every type of person. As I usually do I will say the book is better than the movie. Now taking a step away from trying to review the movie in connection to the book I want to just review the movie. 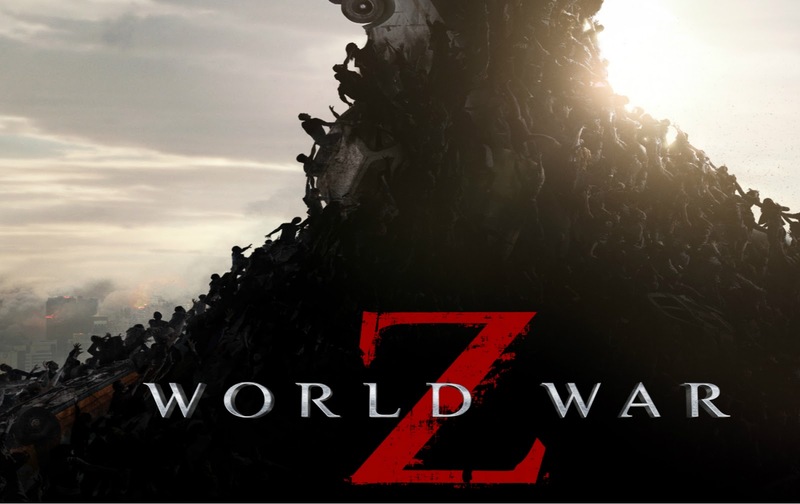 “World War Z” as a zombie apocalypse movie in and of itself is pretty good. It is a adventure survival film, one that does have some interesting aspects to it. It follows the formula of many of these types of movies. Disaster strikes and it becomes a race to get somewhere safe. Then it is time to find the cure or way to stall or end the disaster. A formula we all are very familiar with and have seen many times before. What made this movie interesting to me was first off how it started so quickly. We don’t get any character building time really, ten minutes in and we are watching the characters run for their lives. Again though the dash for life didn’t last very long, only about fifteen minutes or so. In the first forty five minutes Gerry manages to use his UN connections to get his family to a safe place. Then we moved onto the second step of the formula and that is how to stop or stall the disaster. Gerry goes through a series of places, trying to gather all the pieces he needs. I liked this aspect. He doesn’t go one place and find everything he needs right away. He doesn’t miraculously find the cure and have to fight his way home. Instead he follows the leads that give him small pieces of information and another lead. It is like a treasure hunt, finally leading him to the ultimate goal, a very unique way to handle the whole thing. The solution Gerry finds isn’t a magical cure. It isn’t a major military strategy that the normal person would barely understand, making it impossible to know if it would actually really work or not. I won’t give the end away, because it is interesting how everything comes together, the solution itself is pretty different as well. Though I am not entirely positive how well it would actually work. Another aspect I liked was how nowhere was truly safe. Each location Gerry ends up in he ends up having to run for his life again and again. The reasons he gets caught or in trouble aren’t some stupid coincidences that magically happen so that he gets put into danger. He has to run all because of human ignorance or lack of care. Whether it is loud singing that attracts the zombies or simply dropping a suitcase, he always ends up coming face to face with the creatures that could kill him. It is all very believable to me, easy to see how everything can come crashing down in this exact situation. It is never actually Gerry’s fault but the fault of those around him, a situation we all understand well. We all know how difficult it is to fully control those around us especially when it comes to life and death situations. The movie has an interesting quote about Mother Nature being a serial killer. The lead scientist (who dies in a kind of funny way) says Mother Nature is a serial killer, one out to get caught. Now the whole discussion is to foreshadow the clues that are about to be left throughout the whole movie. But it is the claim itself that I liked. Mother Nature is usually seen as a benevolent force, giving us beauty in trees or wildlife. Yes, she can be destructive but it is a majesty of power, something to be awed over. This movie makes Mother Nature cruel and sadistic, out to kill and destroy. And many times this can be true, with the way diseases grow and become incurable. One day she will lash out at us in a way we can’t hope to ever get away from. We can’t last forever, nothing in nature does. Where as this movie doesn’t explore the repercussions on humans and their lives it does point out how little time we actually could have left. The last lines “If you can fight, fight. Be prepared for anything. Our war has just begun.” (World War Z) Explains the point well, our fight against Mother Nature is truly just beginning.